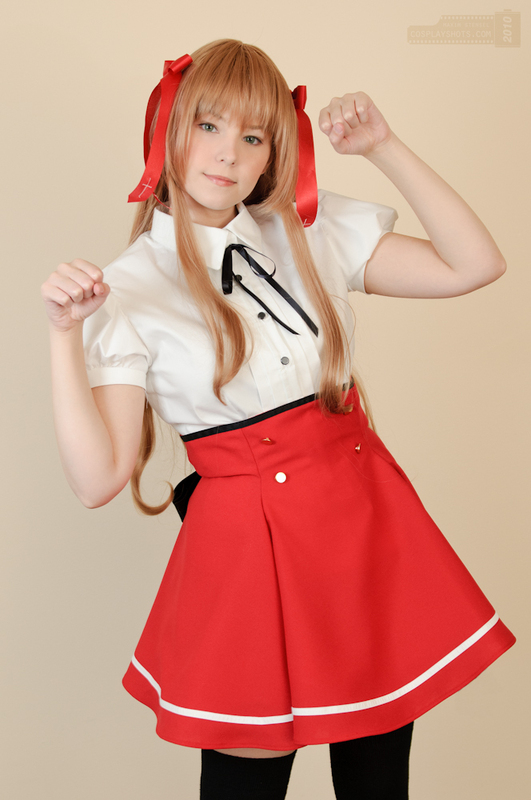 Interview with Maridah | Cosplay Blog… with a Brain! It’s time for another interview, this time with Maridah! 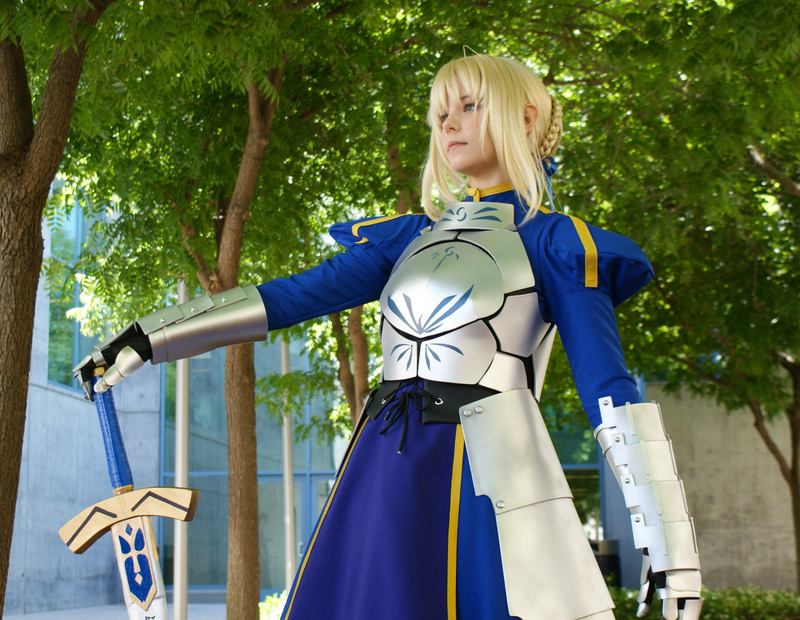 She’s a cosplayer from California who’s internationally recognized for her work! She’s very talented and down to earth, and a cosplayer I’m happy to call a friend! My cosplay name is the same as my old screen name, Maridah. I’ve used it for a long time now. I don’t remember exactly when I adopted it anymore, but I wanted something different. It’s from the myth of the Marid, a genie. I’ve been making cosplay costumes for over a decade now. I started when in high school. I was first getting into anime at that point around 1999-2000. I was in a magnet school for the arts, and my focus was on theater, so I was in costuming classes. I wanted to attend an anime convention (all I had been to before were Star Wars/Sci-fi cons) and thought that making costumes for the convention would be fun. I made a bunch for my friends and I at home the weeks before the convention. Something like 5 that first convention. I knew people wore cosplay to these events, but at the time US cosplay was still sort of rough around the edges so my understanding of the hobby was very different than it is now. It was much more about a social environment where you expressed a level of fandom for a show or manga, as opposed to now where mostly it’s about photos. Because it was such a fun social function and I picked up a lot of new friends those first few conventions, I was drawn in to ‘cosplay’. You would cosplay and it worked a lot like a billboard for your interests. Connecting with people who liked the same things as you was easy through the hobby at that time. I’m all about low sheen stretch satins at the moment. I like the little bit of luster and it’s relatively easy to work with. I also use poplin a lot. For anything armor, Sintra is my go to. It’s nice to work with and doesn’t need as much prep to paint as other methods. I’m looking forward to a few more armor projects this summer (as long as I can survive the heat!). I’m trying a few new materials and working with some old favorites, so I’m excited to see what I can come up with. I’ve met a few cosplayers who really understand playing fabrics off one another. I love seeing a cosplay that uses materials that are more than just what you can find in the right color, but instead bring out a level of realism to the costume. It’s not something I can afford to do (I do what I can to maintain a small budget for my costumes) but I really appreciate seeing it from others and admire the dedication to the hobby. It can make a good costume great. I wish I had some names to give, but it’s usually something I see in passing and we don’t exchange names. If one thing is sure to make me stop in a hallway to gawk at a costume, it’s that! Well, it’s not all that positive. Individuals are one thing, and it’s easy for me to pick out people who are wonderful and make the hobby a better community by being in it… but as a collective whole it’s not such a good thing. In the last few years it’s become much larger and much more about competitiveness than I’ve ever seen it. People are not friendly in the same way as they were 10 years ago. People seem to spend a lot of time sizing everyone up like everything is a contest. And for what? It’s just a totally different demographic with different motivations and attitudes from the community’s beginnings. Having fun comes with the knowledge that people will reproach you for it, too. You can ask just about any seasoned cosplayer this and they will have to admit it’s just part of the hobby now because the community has morphed into a very negative, competitive environment. I’d like to see the competitiveness level go down. It’s unreasonable for it to be so high for a hobby that involves dressing up like cartoon characters. Oddly enough, I don’t think that masquerades are as big of a cause of the animosity as the online interaction is. People maintain civility better in person and the community was (and still is) better offline. Pick a character you love and cosplay with a friend. Pick something comfortable and not that complicated or hard to wear. So much about what makes cosplay great is cosplaying things you really care about and having a good time while in costume. You’ll have a much better time if you aren’t uncomfortable or worried your wings are going to fall off or something like that. You can always make something grand later. It’s important you have fun with your first experience. Otherwise you might not ever want to do it again, right? I’ve really liked Fanime (though I’m worried it’s getting too big for the venue.) The weather is good there for a convention. Cool enough that you can wear a big costume and not swelter! AX has been fun on its good years. Good convention environments are pretty dependent on venue. Now that AX has an attached hotel again and that cool new Nokia area, it’s a ton of fun. It feels like the convention is active and interesting 24 hrs a day again like it did at Anaheim. I spend a lot of time pressing seams and top-stitching while constructing a costume, even when I could otherwise skip it just to get done faster. I’m happier with the results putting in the extra effort even if it’s not that noticeable to anyone. Thanks for the interview, Maridah! You can check out more of her work on her website!